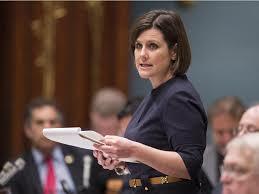 Quebec Justice Minister Stephanie Vallee. face coverings for giving or receiving public services or entertainments, Quebec Justice Minister Stephanie Vallee announced on Thursday that hockey masks for goalies would be banned as part of the “State Religious Neutrality Law.” “Why should goalies be able to hide their faces during the national game?” asked the minister. 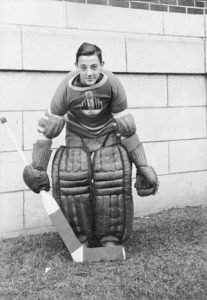 “Their ability to conceal their goal-tending strategy while a left-winger is taking a slapshot is totally unjust,” Vallee declared. 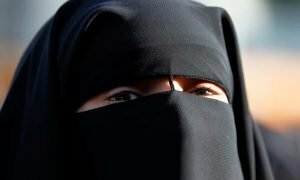 Person in niqab. Possibly a hockey centre. 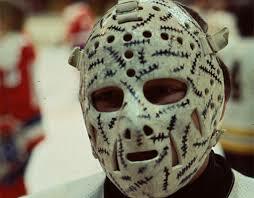 Further, Vallee said that hockey centres-in-burkas have to lift their face-coverings only during face-offs. Other “accomodations” will be provided as necessary, the minister promised. — Not The Onion, this is The Paul Bunyan Review: Tall Tales for the Time of Trump.